EcoGrow Plus Neem is an organic pest repellant to diamond back moths, aphids, whiteflies, spidermites and nematodes. This is due to neem and other organic inputs. EcoGrow Plus Neem also helps to increase water retention, complement inorganic fertilizers and act as an organic source of Nitrogen and potassium in the ratio 10-1-9. This organic fertilizer also has a Carbon to Nitrogen ratio of 17:1. 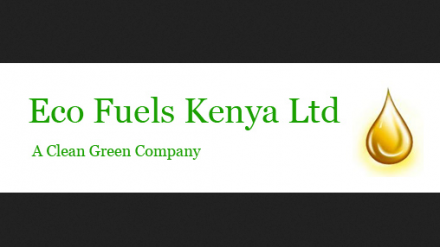 Eco Fuel Kenya Ltd appreciates Kenya’s abundant natural resources and pristine beauty present a unique opportunity for humans, agriculture, and wildlife to flourish. We are proud to source, manufacture, and sell our products within a brief driving distance of our initial factory site just west of Mt. Kenya in Naro Moru. By creating employment and economic opportunity through a natural resource that was previously ignored, Eco Fuels Kenya and all our stakeholders demonstrate a commitment to the economic independence and prosperity of the most industrially developed country in East Africa. It is our intention to set an example for how social enterprises should operate in Africa and to positively contribute to the continued growth of our wonderful country. EcoGrow plus neem detailed sheet.